100+ artifacts include green Jaguar XKR from "Die Another Day"
D.C.'s International Spy Museum is opening a new exhibit commemorating 50 years of James Bond films and their villains. "Exquisitely Evil: 50 Years of Bond Villains" opens Friday at the museum. The exhibit includes more than 100 artifacts, including a green Jaguar XKR driven by the villain of the 2002 Bond film "Die Another Day" and metal teeth worn by the villain Jaws in the 1970s Bond films "Moonraker" and "The Spy Who Loved Me." The first James Bond film, "Dr. No," was released in 1962. The 23rd installment of the blockbuster franchise, "Skyfall," is currently playing in theaters. 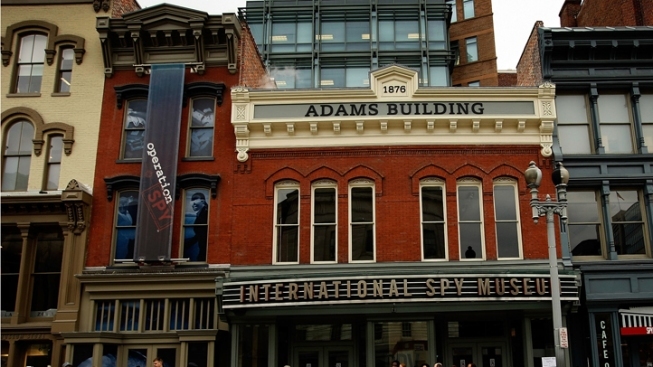 The exhibit will be on display at the International Spy Museum for at least the next two years.